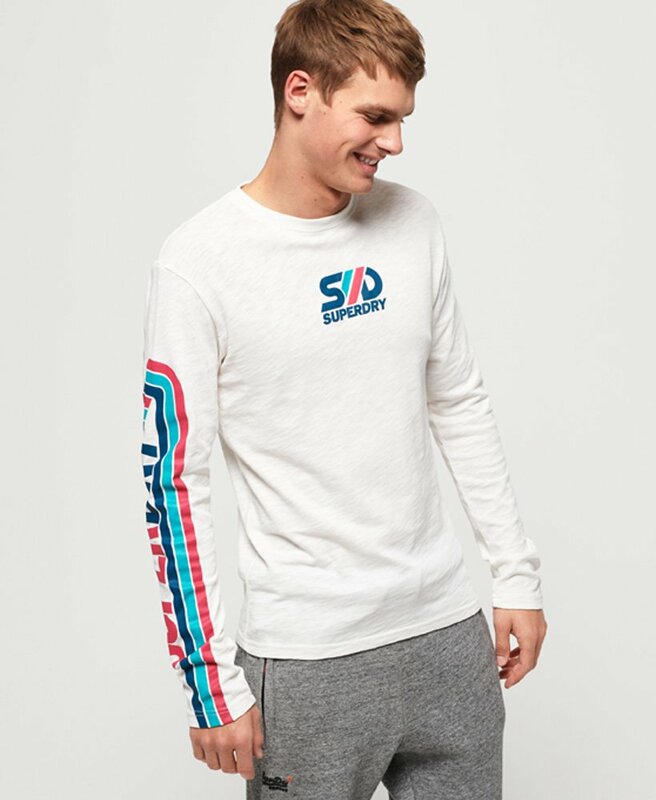 Superdry men's Retro Classic long sleeve t-shirt. This long sleeve t-shirt features a crew neckline and a textured Superdry logo across the chest and down one sleeve. Completed with a Superdry logo badge above the hem. Will look great with a pair of your favourite jeans and trainers for a casual look.